"Rather than bedding down and defending these increasingly straightforward routes, Clinton is expanding her efforts to include Republican strongholds...It is easy to envisage a fading Trump campaign being outfought in one close race after another, enabling Clinton to run up a massive victory in the electoral college." If we can trust the opinion polls, Donald Trump's bid for the presidency appears to be doomed. Three weeks from polling day and ahead of tomorrow's final TV debate, the Republican candidate trails Hillary Clinton across a slate of national polls by an average 7% and sometimes double-digit margins. With those figures in mind, the key question for bettors less concerns who will be president, but predicting Clinton's margin of victory. Indeed, once this year's electoral map is taken into account, even Clinton's extremely prohibitive [1.2] odds, (which equate to an 83% likelihood), seem an under-estimate. She is favourite in nine of those ten, including [1.07] for Minnesota, [1.1] for Maine, [1.19] for New Hampshire and [1.26] for Nevada. Simply either winning Florida's 29 electoral college votes or the 15 available in North Carolina would take her over the line. In both, she is merely a [1.4] chance. For a detailed overview, check out my analysis of the 15 most pivotal states. Another useful guide to the state of the race is to follow the money and surrogates, to see where each campaign is targeting their resources. Rather than bedding down and defending these increasingly straightforward routes, Clinton is expanding her efforts to include Republican strongholds such as Texas, Indiana and Arizona. Her daughter Chelsea, Bernie Sanders and Michelle Obama are all campaigning in Arizona this week. The famously professional and well-resourced Democrat machine is clearly eyeing a landslide, perhaps even bigger than Bill Clinton's 379 votes in 1996. Hillary is currently rated 29% likely to earn 360 plus at odds of [3.4] and betting on higher margins is now available in our new market. Trump's scope for turning things around looks minimal. Deeper analysis of Sunday's ABC/WAPO poll - in which Trump's 4% deficit was well above average - shows him trailing Clinton badly among the undecideds and third party supporters across a range of poignant questions. Trump has hit the low ceiling that his consistent 60% unfavourable rating always suggested. Against that negative backdrop, Wednesday's third and final TV debate feels like a last chance to produce a game-changer. One thing in his favour is that the moderator is unlikely to allow Clinton an easy night. Chris Wallace, from the ultra-Conservative Fox News network, is a famously tough inquisitor and will doubtless probe her on the avalanche of recent e-mail revelations from Wikileaks. She won't come out looking good and these issues will play into Trump's relentless theme that the election and system are 'rigged' in her favour. Whether her discomfort translates into an improvement in Trump's image or extra votes, though, is extremely doubtful. The nature of his entire campaign, performance in the first two debates and subsequent accusations of sexual assault have all served to entrench his extremely poor personal ratings. Some 68% in the WAPO poll believe he has made unwanted sexual advances on women, while 66% say he does not have strong moral character. 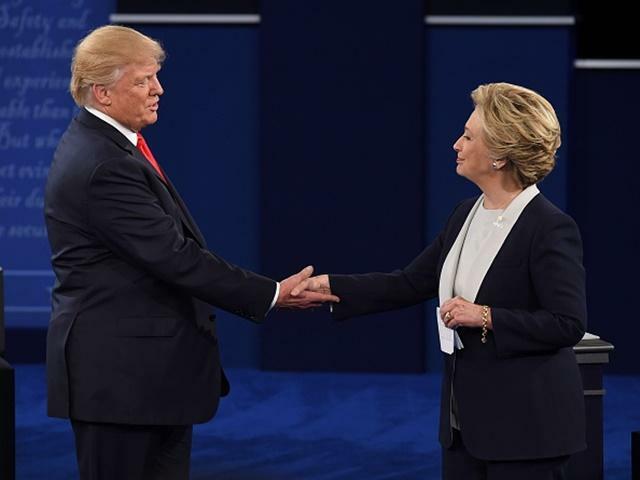 Even before the latest allegations surfaced, polling about the second debate made grim reading. Many commentators believed he came out with a draw or better, yet polls favoured her. Remember this debate was dominated by personal attacks rather than policy - the terms Trump instigated - yet the effect still hurt him more. It would be nice to think that the final debate would be more about substance and there are various interesting subjects incuding debt and entitlements, economy, foreign policy and immigration. However given the nature of Trump's late campaign, it seems likelier to descend into personal abuse and arguing about conspiracy theories. Trump is doubling down on claims of voter fraud, the media being rigged against him and even implying Clinton is taking performance-enhancing drugs. He hasn't produced any evidence or been directly challenged, because he stopped doing press conferences 82 days ago. Wallace will surely press for evidence in this environment and expect Clinton to link it to Trump's numerous other conspiracy theories. Though it may make sense for a future Trump TV project, it is hard to find any electoral logic behind his strategy, besides believing there is a vast untapped pool of angry white voters that the polls aren't picking up. Even if that were true, he needs to really maximise turnout, yet the evidence suggests claiming elections are rigged tends to encourage apathy and drive down turnout. Likewise, the more polls point to big defeat, the less incentive for sceptical Republicans to finally come on board. In contrast, the Clinton machine is famously well-resourced, professional and effective at getting the vote out. I've written before about their supremacy in terms of data analytics and this advantage really comes into play during the final weeks. It is easy to envisage a fading Trump campaign being outfought in one close race after another, enabling Clinton to run up a massive victory in the electoral college. Paul will be live tweeting the third debate over at @BetfairExchange. It kicks off at 2am UK time Thursday morning, and is live on Channel 4. Follow Paul on Twitter and check out his website, Political Gambler.